stanza: like a ‘paragraph’ in a poem. Stanzas are separated by a line break. They may be regular, e.g. the same number of lines per stanza. Or irregular - broken up seemingly at random. regular poem = regular sized stanzas and/or regular line length and/or regular rhyme scheme. The more it has, the more regular it is. How to write about it: the regular structures give a feeling of being tightly controlled, which links to...' or 'the tight structure and interlaced rhyme scheme creates a sense that ideas are developing in an ordered, logical way,' etc. rhyme schemes: 1. rhyming couplets (aabb), 2. abab (alternate lines), 3. interlaced (abba or abcbca or similar). Comment on which words the poet has chosen to rhyme together: focus on the most interesting pairings or juxtapositions - especially if they seem out of place, uncomfortable or ironic. unrhymed: no rhymes on the end of all or most lines. Pay attention: if there is internal rhyme or a few couplets, unevenly spaced - this is definitely done for effect. Look at which words have been rhymed: rhyming them intensifies and makes the reader compare the words. You may need to pick up an entire phrase, not just the rhyme-word at the end of it, e.g. ‘stop/drop’ rhyme but it's hard to analyse this. Better to analyse ‘will not stop’ and ‘not a single drop’. Both also contain negatives, (no, not, none, never etc) so comment on these. half-rhyme - words almost rhyme: e.g. bored and bared. This can create an unsettling, incomplete effect: check it against the theme / POV (point of view), topic and tone. first words and last words (on a line and in a stanza): explain if/why this word is important. They are ‘in a position of stress’. This is particularly interesting in irregular poems. A full stop at the end of a stanza feels neat, and complete - and can be used for emphasis. A full stop at the end of a line (i.e. one sentence= one line) feels neat, controlled (maybe too controlled). Semi-colons, colons and dashes at the end of a line feel neat, organised, as do commas. long and short sentences - make the same comments on these as you would for prose. Long = overwhelming, breathless, lots happening or builds suspense. If a sentence stops in the middle of a line, that can feel very abrupt, or shocking, even more so if the entire sentence is less than one line long. If by Rudyard Kipling is one sentence over four stanzas and gives a feeling of being overwhelmed. The poem is long and it is all one sentence. 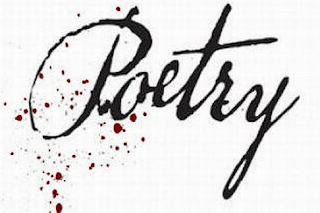 enjambement or run on lines = no punctuation at the end of a line gives a flowing, continuous or out of control, breathless or overwhelming effect (of profusion = a lot of stuff) especially if the sentence runs on for the length of a stanza - or the length of a poem. repetition: where a single word is repeated for effect: sometimes the word is re-interpreted the second time. refrain: where a line or phrase is echoed a bit like a chorus in a song or hymn. How to write about it. e.g. in 'Valentine' 'I give you an onion' is repeated: this breaks the poem into two halves, as if the poet is insisting on this unusual, unpleasant gift. It's as if no one would want it, but she's insisting, which is shown where she says, abruptly, 'Take it'. This almost creates the effect that love can be an unwanted, unpleasant gift. sonnet = a fourteen line poem in iambic pentameter, (ten beats or syllables per line, as used by Shakespeare) usually with a volta (twist) before the last two lines which are a rhyming couplet. The couplet is the final message or moral of the poem. balanced line = line feels like two halves, alliteration may be used to increase the 'balanced' effect - or antithesis - opposites are balanced each side of the line. parallel construction, also, repetition = the same sentence structure is repeated, creating a kind of echo: ‘My heart is like... My heart is like... My heart is like...’ could be said to be a refrain, creating a hypnotic effect. OR ‘Self under self’, ‘Farm within farm’. antithesis = opposites put together for effect - heaven and hell, body and soul, earthly lust and spiritual love, rebellion and authority, death and life. oxymoron = where two opposites are contained within the same word phrase : bittersweet, horrid delight, sweet sorrow, loving hate. You could say it's a type of antithesis, but 'tighter'. lists of words or phrases = (looks like a rule of four, five, six or more! ): this creates a sense of profusion, chaos, busyness or action - it depends what the poem's about. sensory language = appeals to the five senses, e.g. colour, light, texture, sounds, smells etc. semantic fields = words that belong together with a related meaning. Comment on interesting juxtapositions, e.g. words for suffering used to describe love. Love 'hurts' there are 'victims', he is love's 'prisoner' and is 'wounded'. POINT OF VIEW From whose point of view is the poem told? What is their attitude to the topic of the poem? Is the poet's attitude the same, or different? If the second person (you) appears, then the poem is addressed to someone. Who? What is the narrator's attitude and relationship to the person they're addressing? third person is he, she, they, it, or [name] and has more of a distanced feel, as if we're examining something from the outside. colloquial language = the kind of words or phrases people would say but not normally write. Creates a 'rough' feel - of ordinary people and their idiolect (the way they talk). This is often used by poets in poems about their parents. ALSO, colloquial phrases can create a dead effect: like dead metaphors - they have lost any sense of freshness and aren't imaginative. It can show people are struggling to express their own feelings, or are trapped in stale conventions. formal, elevated language (tricky words, and 'poetic' words) = can be used to create a sense of beauty or complexity: one tricky word will stand out so think about what it means and why the poet wanted that particular idea to stand out. mundane = day to day details: comment on these because we don't expect to find them in a poem. Focus on the day to day can make it easier for the reader to relate to the experience, and it can show us that sometimes the details of life aren't grand, but feelings are. MOOD: work this out from the key words used (semantic fields, sensory language, sounds, etc). the first person, including the possessive - my, our - can make the narrator seem self-centred, or controlling (e.g. in My Last Duchess). If the narrator is using the third person and shifts to first at the last minute - or the other way round. Ask yourself why they did this.